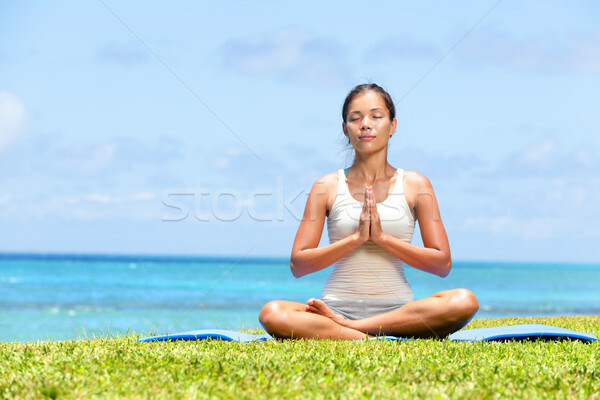 Stock fotó: Meditáció · jóga · nő · tengerpart · meditál · óceán / Meditation yoga woman on beach meditating by ocean sea sitting in lotus position with back turned serene and happy. Asian girl sitting relaxing enjoying summer beach. Mixed race Asian Caucasian model.